So far, in this series, we have covered the Usual Suspects: the pests most frequently found in grain storage. Then, we examined the first line of defence—pest-resistant bins and silos. We reported on two of the most popular options for preserving grain quality and inhibiting the growth of insect populations: aeration and grain coolers. Next, we reviewed Bayer’s new high-tech rodent monitoring system and then featured grain-monitoring technology that logs grain temperatures, and which can detect infestations based on temperature increases in the grain. 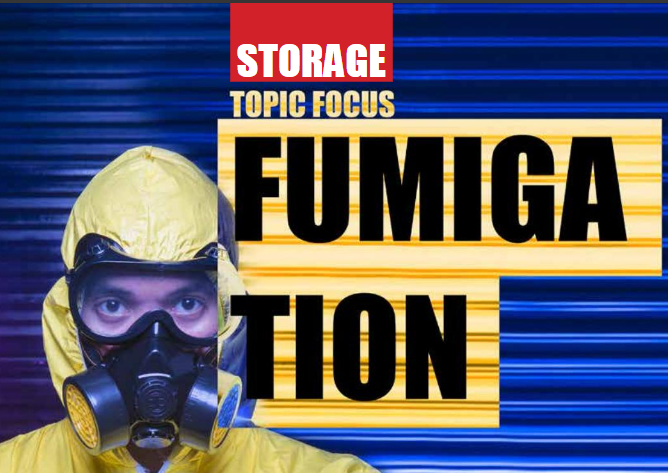 Now, in our fourth instalment, we finally reach the point where the rubber meets the road: fumigation, possibly the most certain method of exterminating mature pests, larvae, and their eggs in a silo or bin. We begin with the most popular fumigant gas: Phosphine and sulfuryl fluoride, which are in use all over the world. Although popular choices, they cannot be used on any organic grains. Moreover, we live in a world of increasing regulation and many countries are encouraging the use of alternative fumigants, which are less toxic, and which do not contribute to greenhouse gases. And so, we are also covering the use of these so-called “controlled atmospheres” using gases such as carbon dioxide and nitrogen. These gases are also lethal, but kill by depriving pests of oxygen, rather than by toxicity. We at Milling & Grain are not advocating the use of one gas over another; each has advantages and disadvantages. We are merely presenting information received from academics and experts in the field for the education and edification of our readers.